Free entertainment, face painters, ballon sculpture , stilt walkers, fire eaters, musicians and dancers. Craft stalls down the main street, food stalls and mulled wine. 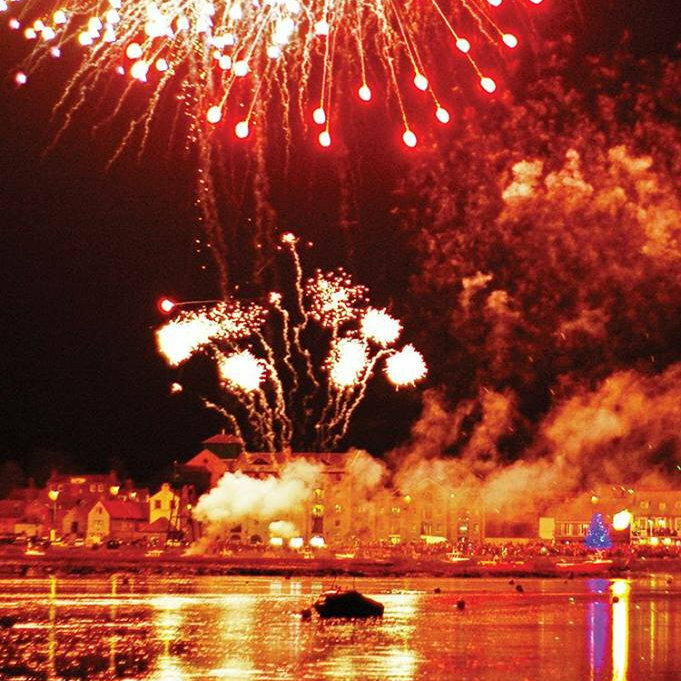 Children’s lantern procession, Father Christmas arrives by boat and then a great firework display over the marshes. Children can pay to visit Father Christmas afterwards.